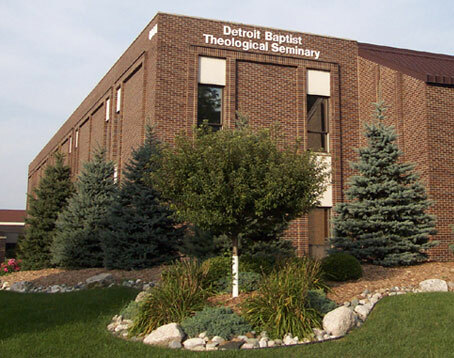 Last Friday brought to a conclusion the fall semester of classes at Detroit Baptist Theological Seminary. Since I will be traveling during part of our month vacation, I want to get the class requirements for my spring semester posted. If you are scheduled to take one of my spring classes or are interested in seeing what the course requirements are for a seminary class, the course requirements for my class are now available. If you are taking Old Testament Introduction, click here; Old Testament Poetic Books, click here; Elementary Hebrew, here; or the Biblical Creation Seminar, click here. 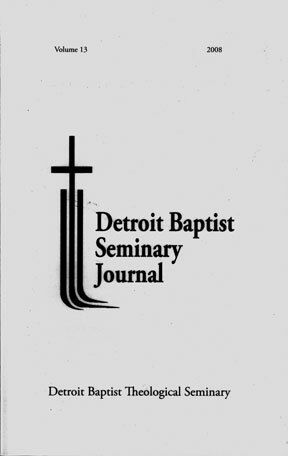 The Detroit Baptist Seminary Journal was started in 1996. The journal is designed to present scholarly articles from a historic fundamentalist perspective. The 2008 issue of the journal is a solid reflection of the journal’s goal. The current issue of the journal is in the process of being mailed to its subscriber. This issue has four articles and two book reviews. Here are the four articles. There are also two book reviews that conclude this issue of the journal.